"Do you remember now?" "Do you remember now?" The above info came from kelsey jeffs, and was edited by yours truly (contact me). The image came from photobucket. Haji is what's known as a Chevalier. This is a human who has been mutated by drinking vampire's blood (in this case, Saya's). Saya did this to save his life after he fell off a cliff. 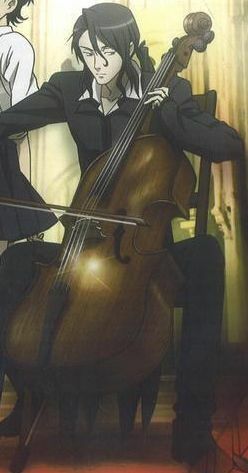 Until episode 24, he is Saya's only known Chevalier, though Diva is shown to have quite a few: Carl Fei-Wang, Solomon, Amshel, and James Ironside, and Nathan Mahler. 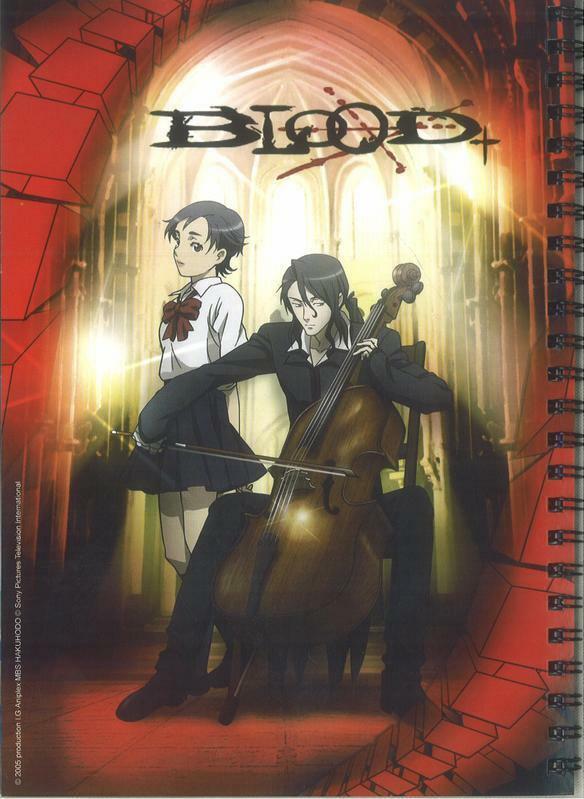 Saya's blood is lethal to artificial Chiropterans. This is because artificial Chiropterans are made from a substance called Delta 67, which was developed from Diva's blood, and introducing the blood from one vampire queen into the system of another vampire or Chiropteran causes some kind of conflict which crystallizes the blood. Thus, Saya's blood is also lethal to Diva, and vice-versa. Haji is partly instrumental in Saya's "awakening" and his right arm is covered in bandages, hiding some Chiropteran features. Haji first met Saya when he was a child and was bought by Joel to be her companion (and hopefully mate and create more specimens someday). Haji's single wishes is to protect Saya and fulfill her wishes. 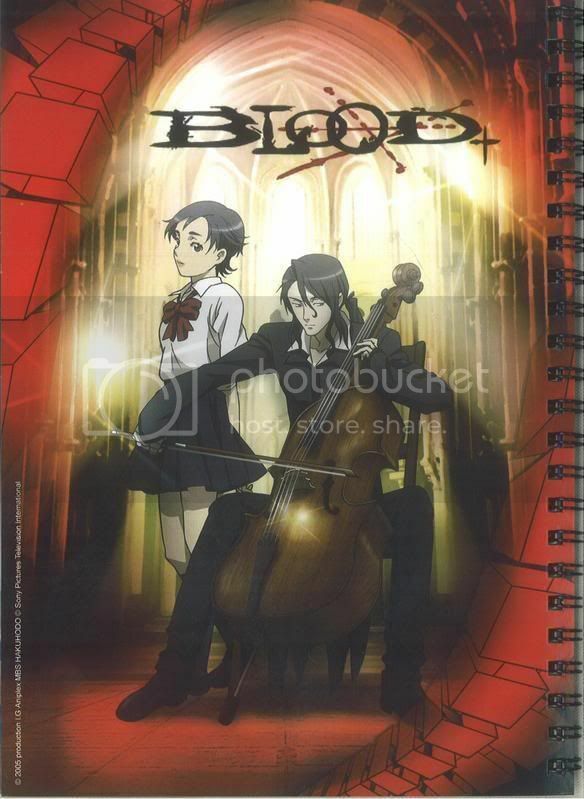 He is often seen with a 'cello case in which he hides Saya's sword, but he also uses the case as shield or even as a blunt weapon. The above description came from kelsey jeffs, and was edited by yours truly (contact me). Haji is Saya's Chevaleir. He has been with Saya since he was a child. He used to be a human, but one day after he had noticed he was growing up and Saya hadn't aged at all, on Joel's birthday, him and Saya went on a picnic and Saya wanted to get Joel an orange flower growing on the cliff for his birthday. Saya tried to climb down and get it, but Haji wouldn't let her. He climbed down to get it and he fell and died, but Saya climbed down and gave him some of her blood and he came back to life as Saya's Chevaleir. Time is stopped for Haji. That's why he promised Saya he would protect her forever and fulfill her wishes. The above description came from Hailee, and was edited by yours truly (contact me).